Spanish Civil War tours around Barcelona visiting some of the key sites in the city between 1936-1939. The tours cover themes such as Anarchism, the International Brigades, George Orwell, the realities of daily life and bombing. We hope this is a different way of looking at the city. Contact (spanishcivilwartours@gmail.com). My guidebook Forgotten Places: Barcelona and the Spanish Civil War” is now available in print and on Kindle. The tour has also become a walking museum of the Civil War as we have a considerable number of original museum-type artefacts on the tour to show you from the war, each of which tells a story, most of which you will be able to handle. Children under 11 = free, 11-15 =15 euros. There wil be a seated bar stop halfway and the last hour is seated in a bar where you can get drinks and food (not included and not obligatory). -Private/schools tours: FROM 290 euros (please specify if you want a private tour when contacting me). Shorter two hour tours are also available for schools only (FROM 200 euros). 2018 Dates, times and booking: 10-1430 approx. Most Mondays, Tuesdays, Thursdays, Fridays, Saturdays. I also do this tour once a month in Catalan and Spanish with Cementiris de Barcelona. Here’s a write-up by someone who recently came on the tour in Spanish which if you don’t understand at least you’ll get an idea of the place. The “May Days” George Orwell and the shadow of Stalinism in Barcelona. Background After the military coup was defeated in July 1936 Barcelona was engulfed by a unique libertarian revolution, which would be crushed barely 10 months later with the rise of Stalinism, as is brilliantly described by Orwell in Homage to Catalonia. It was also one of the first cities in the world to be systematically bombed, and the first to build a large number of air-raid shelters, a few of which survive today. Then, on a freezing morning on 26 January 1939, Franco’s troops entered the city, and set about destroying everything the Republic had built. Although Franco died in 1975, only in January 2011 were the last monuments to his victory torn down in Barcelona. The city today is of course unimaginably different from that described by Orwell. But, the scars of the Civil War are not yet closed, and run as an undercurrent through today’s society and politics. Looking at the city through the prism of the war can help to understand modern Catalonia and Spain. Nick Lloyd’s Spanish Civil War tour of Barcelona was one of my highlights of a long trip through Europe. Always passionate and engaging, never obscure or condescending, he brings the conflict to life for expert and novice alike. Even if you don’t know much about it you’ll enjoy this tour – and you’ll love his story of how his interest in the Civil War was triggered. I have always felt inspired by the Spanish Revolution of 1936-7, which had its epicentre in Barcelona. What took place there has been described as the “greatest experiment in workers’ self-management the world has ever seen.” In preparation for a visit to Barcelona, by chance I came across Nick’s tour, and it fitted my needs perfectly. Not only was Nick able to bring clarity regarding the many competing organisations prominent in the revolutionary (and, also, sadly, the later counter-revolutionary) period, but he brought the history alive through his own passion for the subject. He also, knowing intuitively that not all of the participants on his tour would be history buffs like myself, brought in a host of other fascinating aspects relating to the Barcelona of that period. The winding-up session in the bar afterwards allowed for a good exchange of questions and answers. Highly recommended. On June 1, 2013, my wife Janet and I were lucky enough to be part of Nick Lloyd’s walking tour of key Spanish Civil War sites in the older neighborhoods of Barcelona. I’d learned about the tour on-line from a fine write-up in The Guardian. As I’m doing research on this dark time in recent history for a novel I’m writing, I was eager to get Nick’s take. He did not disappoint as he moved us through and by key landmarks from the war. In addition to telling the stories of signal events, he also employed handouts, photographs, and songs (played from his tablet). Nick is such a serious student of George Orwell, in particular the memoir Homage to Catalonia, that he was able to recite several paragraphs entirely from memory. Impressive! He is very open to questions and dialog. I have taught at the university level for thirty years, so I fancy I can tell a fine teacher when I see one. Nick’s the genuine article. A three hour tour ended in a great pub, where folks were free to go their own way. However, nobody did because Nick continued to share stories and pictures with us for almost an extra hour. He also personally gave me great leads (the Anarchist bookstore in Barcelona, the town of Corbera del Ebro–the ruins of the medieval city are bracing, Refugi 307, books and more). In fact, the only thing I would change is the label of “walking tour”–it was, rather, a marvelous mini-course! Nick Lloyd’s walking tour is for everyone who loves Barcelona and wants to dig beneath its shiny surface. If you’ve always been fascinated and horrified by the Spanish Civil war – never understood why Hitler’s buddy Franco was allowed to die peacefully in a hospital bed, not hung by the neck (never mind the feet) in Retiro park; this is the walk for you. This is a tour not to be missed – it gets to the very heart and soul of Barcelona’s recent history and Nick is a modest expert, wanting to bring out the wisdom of the group, not just his own meticulously researched understandings. Particularly captivating is his salutation of the women who fought side-by-side with the men and organised separately for equality. So often on these historical tours, women remain in the shadows or are invisible. At the end of the walk, in the bar La Llibertaria, Nick points to the wall and the iconic photo of Marina Ginesta with her rifle on the roof of the Barcelona telephone exchange. With huge esteem and marvel he tells the group that she’s still alive today and still fighting. His rapt enthusiasm, his detailed knowledge and his captivating human stories keep the group spellbound for 3 hours – and then extra time for a hundred questions! The walk inspires you to find out more, and there’s brilliant hand-out to help you do this. Can’t wait for the publication of Nick’s guide book. Unmissable, unforgettable! Valerie Collins, Barcelona, co-author of “In the Garlic”. Having lived in Barcelona for most of my adult life, I thought I knew the city pretty well, but Nick’s Civil War tour was an absolute revelation. It was a most fascinating morning and extremely well organised. Nick is an engaging and insightful presenter and has done a massive amount of detailed research. Not only did we walk and look and listen, but we experienced those horrendous times almost in the flesh, thanks to Nick’s storytelling skills and his use of images and music: he brought it all to life. Nick is doing an essential job in reclaiming this history for the people. I warmly recommand this tour. With a knowledgeable and friendly guide, you will discover a part of Spanish history that is either neglected or totally passed over by the usual tourist tours. I would strongly recommend to anyone visiting Barcelona to take in Nick Lloyd’s Civil War Tour. His deep knowledge of the subject and his pleasant personality, bring to life the unique and momentous events of 1936, right through to the desperate despair of defeat in 1939. Do yourself a favour! Go on this tour and be transported back to a brief moment in history, when the Working Class really were running the place. Nick Lloyd leads a most enjoyable and informative tour of the parts of downtown Barcelona associated with the Spanish civil war. He is a great story teller with a clear passion for his subject and even if you know little about the war, he will be able to capture your interest. Those who have read Orwell’s Homage to Catalonia will be familiar with some of the places and events which feature in the tour, and Nick does bring it all to life. I was worried that a three hour walking tour might be too much, but even with the August heat and humidity the time went by very quickly. I found the total immersion in what must have been one of the most key moments of the twentieth century fascinating. Even my teen age daughter who came reluctantly ended up enjoying it. It was really one of the highlights of our trip to Spain. We booked Nick’s Spanish Civil War Tour for a group of Art Students who were visiting Barcelona for their project based on the theme – The Tale of Two Cities. This three hour tour started at the top of La Ramblas and from there we took a walk through the areas that were most concerned with some of the most exciting and important moments in the period from 1931-1939. The tour uses the backbone of George Orwell’s writing throughout and his reflections on the plight of the Spanish People. This detailed tour allows you to discover places that you may not find on your own and lends context to the city and the issues it faced throughout. Nick uses a combination of quoted passages and photographs to tell the narrative of Barcelona through these turbulent times. We finished in a bar called La Llibertària, where a final lecture and images brought us to the end of this thought provoking tour. The students on the whole were very impressed and gained a lot of information that in turn sparked a creative spark for their own individual projects. The staff highly recommend this and should we take another group to Barcelona the first thing we will book will be Nick’s tour. Highly Recommended and you will not find a better tour guide with such knowledge and enthusiasm for the subject. I was primarily interested in this tour off the back of Orwell’s Homage To Catalonia, but soon realised I should definitely have done the tour first! Nick’s knowledge of his subject is second to none – there were no questions (of many) that he was unable to either answer or illuminate further. Such an interesting counterpoint to the modern fashionable Barcelona we all see as tourists, and really brought to life with photos and music in each location. Highly recommended to anyone, especially those interested in history or politics. Jim Casey.General Secretary, Fire Brigade Employee’s Union, Australia. I cannot recommend Nick Lloyd’s Civil War tour of Barcelona highly enough. Nick brings what you expect from a professional guide to the tour. He is highly knowledgable, a very pleasant guy, and extremely entertaining. But it’s his understanding of, and obvious passion for, the politics of the civil war period that really makes the tour a memorable experience. It’s rare to be able to access the radical history of a city when you’re a tourist. Nick’s civil war tour allows you to do just that. Anyone with an enquiring mind who is travelling through Barcelona will enjoy and learn from this tour. But if you have any interest in, or commitment to, history from below and the working class movement then you cannot go past it. I signed up for a private all day Spanish Civil War tour of Barcelona with Nick and he exceeded my expectations at every juncture. I am writing a historical fiction about the Spanish Civil War, and in his emails leading up to our tour Nick went out of his way to provide links, photos, and museum/event information that I would find interesting and useful during my stay. He asked questions before our tour so that he could show me exactly what I needed. I had VERY specific questions about events as I want my work to be as historically accurate as possible, and I was unceasingly impressed by Nick’s expertise. He wasn’t taking me on a set tour—we could have walked in any direction and I would have been confident in his ability to relate a story about a bomb hitting this building, and a fugitive anarchist hiding out in that church. He simply has a great feel for the city and makes the dazzling history come to life. I highly recommend Nick as a tour guide both to the casual tourist and the fervent historian alike. A focal point of my April visit to Barcelona was Nick Loyd´s Spanish Civil War Tour on the 2nd. A personal backdrop was my great-grandfather´s four-month-stay in Spain towards the end of the war (he was involved in the international military commission for the repatriation of the international volunteers on the Republican side), recounted in lively letters to his wife, mostly from bomb-targeted Barcelona. From the start I admired Nick´s sure touch in dealing with this complexly turbulent , much misunderstood and misrepresented time. His telling of the story was unerringly spellbinding and even though parts may be familiar through reading (his homepage is one fine source), in his passionate, yet balanced treatment, and in the actual locations involved, it came magically to life. The picture material was amazing and the music and documentary film clips very moving (what wizardly handling of the ipad!). And Orwell (Homage to Catalonia) was a fine companion The finale in the bar ”La Libertaria” was so fitting. The art on the walls gave further, touching depth to the Mujeres Libres-dimension of the anarchist revolution. And Nick carried through his program to the end despite an approaching cold. For me, Barcelona will never be the same after this. What an amazing way to see Barcelona. It was soon clear that Nick had an immense passion for his subject; despite standing in the snow(!?) at Placa de Catalunya he wanted to get across as much information as he could before moving onto the next stop. His use of multi media really added to the experience not only through the many photographs he showed but also playing music to invoke the spirit of the times. Listening to A Las Barricadas on the Ramblas whilst Nick described how the scene would have looked in July 1936 really did take you back, for me this was a “hair standing on the back of the neck” moment! The tour winds round the narrow alleyways of the Barri Gotic, the old medieval (or is it?) area of Barcelona, and Nick imparts lots of interesting information en route. George Orwell features prominently in the tour which as Homage To Catalonia was the main reason I first visited Barcelona many years ago was most welcome. The tour ends at an anarchist cafe where Nick showed us more photos and videos (helped with a warming cup of coffee) surrounded by posters and photos of the times. All in all a really enjoyable 3 hours. We can’t recommend it enough, lots to learn and very inspiring! We will have to return to Barcelona to do the full day tour now. This tour was without doubt the best 20 euros I spent in Barcelona all week. It was not only highly informative but Nick delivered the content using photographs, video clips and even a recording of one the anarchist revolutionary songs which made it both fascinating while bringing this turbulent period of Spanish history alive and back to the streets of Barcelona. We were taken on a tour, which only stretched from the Plaza Catalunya through parts of the gothic quarter and onto Les Ramblas. So, hardly a great distance in terms of actual walking but every few steps brought further insight into this fascinating period of Spanish history along with informative discussion and questions from other members of the group. A fantastic three hours, thanks Nick. Our Spanish Civil War guided walk with Nick added context and depth to our trip to Barcelona, and we can’t recommend it highly enough. Unearthing the city’s hidden anarchist heritage, hardship, bloodshed, creativity and spirit while contemporary life rushed by around us was a rich experience. The total opposite of a dry lecture, Nick’s knowledge, readings from Orwell’s Homage to Catalonia, photographs, stories and anecdotes brought to life a multi-dimensional picture of a Barcelona absent from most guidebooks, all tailored to our existing knowledge. Go on, give the Sagrada Familia a miss and do this instead – you’ll never see Les Rambles in the same light again. Nick took myself and my parents on a trip around Barcelona city centre on a blustery day in October. The dark clouds hanging ominously above our heads Nick evoked the tension and expectancy hanging thick in the air over the same city nearly seventy years ago when news first arrived that General Francisco Franco had landed with his army was heading for Madrid. Barcelona was itself a divided town, the rich overlooking the poor from the hills surrounding the Ramblas and Raval, but the following weeks saw an almost utopian transformation and communality as the people of Barcelona used the news of the defeated coup as an opportunity to shake off centuries of poverty and inequality. Nick conjures up in vivid and emotive detail the sights and the sounds, the clothes and cars and celebration….but as he ushered us deeper into the Gothic quarter the streets and the story grew darker… I lived in Barcelona for four years before I finally got around to taking Nick’s tour, I’ll never see the city the same again! This tour, which begins at the Plaza de Catalunya and continues down La Ramblas and through the Gothic Quarter, makes the events of the Spanish Civil War in Barcelona come alive for tourists, students, history buffs, local residents, or anyone who wants to learn more about the history of Barcelona, Catalonia, and Spain. The guide does a masterful job, tailoring the tour to the group’s interests, telling fascinating stories about the major players;and with dozens of photos and clippings, he paints the full picture of the war’s origins and ultimate long-term results. The guide took us to the locations where the events took place – from the exciting, early revolutionary days to the May 1937 street battles (cf. Orwell’s Homage to Catalonia) to the site of an aerial bombing where dozens of school children died. It all happened right there, a tragic story that is still very relevant today, wonderfully told by a dedicated historian. The Spanish Civil War tour of Barcelona is an amazing experience. My partner and I came to Barcelona after a friend’s wedding and we had not planned for any tours or site-seeing. I have a strong interest in spanish civil war history because of my political leanings. We contacted Nick, the tour leader, at the last minute and we are so happy we were able to join the tour. Nick has an extensive and authoritative knowledge of the events of the Spanish Civil War and the specific and unique history of the events in Barcelona. He utilizes accounts from George Orwell’s history of his involvement in the war from his book “Homage to Catalonia” to guide the group through the maze of Barcelona’s streets, telling amazing anecdotes of heroism and tragedy. He has wonderful archival photo which are weaved into the tour at just the right moments. In addition, I was pleasantly surprised by the focus on the anarchists of the CNT who were the driving force for the political as well as social revolution in Barcelona. I came into the tour sympathetic to the anarco-syndicalists of that period, but I honestly believe that this tour has something for everyone regardless of political beliefs. The whole experience was interesting and enlightening. I will be strongly recommending it to my friends. A big thanks to Nick and his wonderful family who we met at the end of the tour! Nick’s Spanish Civil War tour of Barcelona is a must-do for anyone interested in the day-to-day functioning of the brief but vibrant period of Revolutionary Spain. The tour weaves many threads of a complex narrative–the Spanish Revolution and the greater Spanish Civil War–through a vibrant walking tour. Packed with historical details and images, important sites, and revolutionary music, the tour is a superb example of history presented literally from the ground up. Nick, our tour leader was a genuinely inspirational figure who led our small group on a walk visiting some of the key sites of the civil war which raged from 1936-39. Nick has lived in the Catalan capital for well over 20 years now and our tour started in the Placa Catalunya, where on 19th July 1936, a pitched battle took place in what was to become the Spanish civil war. Such was Nick’s grasp of his subject matter, it was quite easy to picture those far off events, and I felt to myself: this is how history ought to be taught! Nick’s little talks at each site were fascinating and these were further enhanced through the use of contemporary songs and photographs. There was no Disney type airbrushing of history and Nick was able to comment on the repression carried out by both sides with objectivity. Sadly, our tour came to an end but fortunately we all retired to the Bar Llibertaria an anarchist co- op to continue our discussion over a welcome drink. The 3 hour tour cost only 20 euros, which represents excellent value and it encouraged me to read more about the conflict. So, if you’re visiting the area and are prepared to spend a little time finding out what the guide books don’t always tell you, get in contact with Nick. I would recommend Nick’s tour to anyone who has even a mild interest in the Spanish Civil war or Barcelona’s history. It was extremely informative but also delivered in an extremely engaging manner. Making use of music, pictures and also encouraging those on the tour to share knowledge they may have of the period made this is a very enjoyable experience and excellent value. We took two tours with Nick Lloyd in one day: the Spanish civil war and Montjuic. They were outstanding. If Nick offered additional tours while we were in Barcelona, we would have signed up for those as well. Nick is an outstanding tour guide with an uncompromising passion for his subject. He is a solid historian. He truly makes history come alive through his explanations, photographs and music. His tour was the HIGHLIGHT of our stay in Barcelona. We recommend him highly without any hesitation. It is rare to find a tour guide with the depth of knowledge that Nick Lloyd has. We can’t thank him enough for enriching our experience in Barcelona. Nick is “the real deal.” Unlike other tours I’ve been taken, he is quite obviously interested in and enthusiastic about the very subject that he is talking about, and it is infectious. Nick uses readings, photos, and videos to help bring the subject matter to life. He was very gracious and very knowledgeable, and I would recommend this tour to anyone who has any interest in the fascinating history of Barcelona. This excellent walking tour explores the most significant event in Spain’s recent history, the civil war, and its effects on Barcelona, Spain, the rest of Europe and ultimately, world history. Using George Orwell’s book ”Homage To Catalonia” to illustrate the Barcelona of the 1930s the guide, Nick, describes the excitement and optimism of the city under the control of its workers and the events which ended with Spain under fascist control. As a guide Nick is both hugely knowledgeable and enthusiastic and whether you know little or a lot about this period of history this guided walk is a brilliant way to learn more whilst walking the very streets where events took place. I cannot recommend this tour highly enough and like all the best walks it ends up in a bar. We had the great good fortune and pleasure to be taken on a Spanish Civil War Tour in Barcelona by Nick Lloyd. Both my husband and I are fairly well informed regarding the circumstances and issues involved in this painful historical chapter and as we were going to be visiting Barcelona, felt it would be interesting to see the actual sites where many significant events occurred. We located Nick via the Internet and exchanged emails. From the first it was clear that Nick was an excellent person to be working with as he was extremely accommodating in settling arrangements. This first Internet impression turned out to be more than accurate. He is in fact a very dear person with caring, humanistic values. Nick’s meticulous research into the subject, his intelligent analysis of so many of the factors in this complicated series of events, his knowledge of the places, people, personalities and timeline were all truly impressive and brought the subject to life for us. No matter the degree of prior knowledge, we highly recommend Nick’s Spanish Civil War Tour for his incisive explanation of its causes, consequences and legacy. John McLearie – Sixth Form College History Teacher, Hampshire, UK. An outstanding tour. Gave a greater sense of texture to my understanding of the Spanish Civil War in Catelonia and of Orwell’s writing in particular. The guide contextually explains the complex politics of 1936/37 with precision and passion. If I take another party of A level History students to Barcelona, this activity will be the first activity I put on the itinerary. Fabulous tour, highly recommended: Nick’s tour is thoughtfully constructed and pitched at a level which is both accessible to those who don’t have much prior knowledge, and stimulating for those who do. Nick is full of interesting insights and anecdotes, and brings to life many key events and details through the use of a variety of well-chosen multimedia clips. The choice of locations will make even the experienced Barcelona visitor think differently about some of the most famous streets and locations in the city. The tour is also personalised and adapted to the interests and questions of those who come, and as a by-product, the other people on the trip are likely to contribute to the fascinating experience with their own contributions. Finally, Nick himself is genuine and thoughtful, and takes the time to make you feel part of the experience. All in all, a unique and memorable tour. Nick Lloyd’s excellent Spanish Civil War Tour was the highlight of my four days in Barcelona, which is quite something for a football fan who got to see the Camp Nou! It is incredibly informative and is suitable for anyone interested in history whether they are highly knowledgeable or know relatively little about the period as I did. I took the tour in December 2012 having read an article about it in the Observer around 6 months earlier. Nick is extremely well informed and able to answer all manner of questions on the subject. He handles difficult issues and tragic events sensitively and respectfully and is able to adapt to the group he is taking around and make links to other conflicts and tensions where appropriate. On the whole an excellent tour I would recommend to everyone. Fascinating insight into events in Barcelona in Civil War days. Nick was full of energy, personalised the talk for our particular interests and answered our questions thoroughly rather than brushing of tricky ones. It was always easy to follow what he was saying, despite covering some pretty complex politics. It felt like a friend was taking the tour – but a friend who is extremely professional and knowledgeable about his subject. I loved all the multi-media elements which made it quite emotional. I don’t want to give too much away. Highly recommended. Don’t hesitate to book onto the tour. I searched high and low before I arrived in Barcelona for a tour that ties into the history of the Civil War. I was lucky enough to bring up Nick’s site. Once I made the connection and found out his approach, it got to be the single most anticipated event on my trip. Nick did not disappoint. He brought the history to life. He made us feel like we were there when the revolution by the workers took hold. His fotos and use of Ipad material added to the rich texture of what he tried to portray. It was easy to be caught in his passion for the subject. We covered alot of ground in our three hour tour but the time flew. I’m very happy I was able to join the tour and his charge of 20.00 seemed more than reasonable. Thanks Nick and keep it going! We were both motivated to attend the walking tour out of political and historical interest and little practical knowledge of the social revolutionary anti-Fascist events during the Spanish Civil War in Barcelona. Until that is, by the end of the tour, and after a very informative introduction “on the ground” by Nick Lloyd. What was particularly creative on his part, was the use of his ‘Tablet’s’ 1930’s photo archive to illustrate the actual places existing today, of the events he described. It made the subject “come alive” for us, and stimulated the imagination accordingly. It was obvious that he knows and cares about his subject, and this was reflected in the group’s attention being focused at all times, and for us, not experiencing one dull moment! It was a nice touch ending the walk at the cafe “La Libertaria,” where we were able to relax, drink coffee and talk as a group. It’s a great eating place too, where we both had some of the best Tapas of our short holiday. Walking down the Ramblas and understanding what the people were hearing and feeling in those mad days in Barcelona – Nick really brings the streets alive. He happily answers questions about the Civil war and beyond. History oozes out of the walls and alleyways and it becomes impossible not to be drawn in by his telling of the events that happened here. 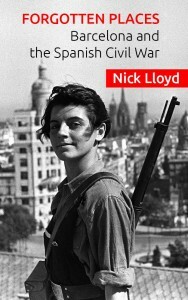 My partner and I had the good fortune of attending Nick Lloyd’s Spanish Civil War Tour in Barcelona. It was one of the highlights of our visit and provided us with important geographical and historical context. Nick’s depth of knowledge and passion for the history of the city (and Orwell’s Homage to Catalonia) make him a fantastic guide. The three hours just flew by; we really could have listened all day. I had the chance to have a private guided tour on Civil War on a sunny day in December. I had read George Orwell’s Homage to Catalonia, but Nick Lloyd’s lively comments on locations, his broad knowledge about the historical facts and also the fascinating stories were a real experience on site. It changed my whole view on the city I had established before, during my 2 month stay and gave me a deeper understanding of how the identity of the capital of Catalunya came about. I was so satisfied and I must say surprised what a guided tour out of the normal can be, that I booked the next week the tour of Raval, Poblesec and Montjuïc. Nick enabled me to understand the urban history in this area before and during the Civil War and therefore the reasons that lead to the unbalanced situation between different social realities. After this we moved to the Fossar de la Pedrera of Montjuïc, the common grave of the victims of Civil War. Seldom I have seen such a moving space to commemorate. I recommend highly the very special tours of Nick Lloyd. Not only are they not to compare with ordinary touristic tours, on the contrary Nick is never talking your head full even though he has a lot to tell, the experience is rather one of an interesting exchange. He tailors the tour to his visitors. I was lucky enough to go on the tour when I first arrived in Barcelona and it set the scene for the rest of my trip. Being aware of the history – the parts the streets and buildings played – as I wandered around made the city much more interesting. Nick brought the place to life. He is knowledgeable and his enthusiasm hooked me through facts, pictures, music and personal stories, and his engagement with questions from everyone on the tour made the three hours fly past. I can’t recommend this tour enough – it really opens up the city! Wonderful! A fascinating trip around the sites of some of the Civil War’s key events. As someone who had read Orwell’s account and Beevor’s history – and been confused by the plethora of party names and acronyms – this walking tour helped fix some of the key events and personalities in my mind. Key memories for me were the bombsite at Sant Felip Neri Square, and the discussion in the pub afterwards……but the whole thing was excellent, delivered with enthusiasm, knowledge and passion. And the CNT still exists!! I would recommend this to anyone visiting Barcelona, and I will keep a lookout for your book in due course. On our way home to Denmark we ask the students about highlights on the trip. Three out of four rated your tour as the most interesting thing on the whole trip (in competition with La Sagrada, Park Güell and Dali´s museum in Figueres)! The reasons were that you have a giving sense to make the civil war “alive” and present for the students. There is a very good variety of facts, use of sourroundings (like buildings) and pictures and movies about the civil war in your guided tour. I would recommend your trip any day. This was inspiring for students as well as teachers! We joined Nick for the all-day Spanish civil war tour and had a fantastic day. I knew quite a bit of the history, my spouse just knew a bit of background, but we both thoroughly enjoyed the tour. Nick was extremely knowledgeable and engaging and used multimedia to great effect. He painted a compelling picture of events and brought the past to life. For the morning we were joined by a combination of visitors and locals. Nick fostered an atmosphere that encouraged all of us to learn from one another. Ending the morning at La Llibertària for a drink was perfect. If you have the time, I highly recommend including the afternoon part of the tour. The visit to the cemetery on Montjuic was chilling and moving. Definitely not something I’ll ever forget. We enjoyed the tour immensely. Nick was enthusiastic, knowledgeable and answered all our questions. I would recommend the tour very highly; from those with no knowledge whatsoever to war experts, there is something here for everyone. Definitely, along with La Sagrada Familia, your Civil War tour was a highlight of our time in Barcelona. Both provide an essential historical grounding as well as a transcendental perspective on this ground. I don´t want you to suddenly get a big head up there with Gaudi as a star attraction, but I do think, as Gaudi explored nature and light in mapping a creative new route to his spiritual goal, so too does your tour provide the visitor to Barcelona a fresh way to grasp the struggle of the 30s between the several forces at play here in this city and beyond. For Jeanne and me, it helped us touch very graphically that struggle of the poor and those fighting on their behalf and provide lessons that link us up to today´s Occupy marches and the Sandinista struggle of the 80s in Nicaragua. Your use of multi-media (Orwell´quotes, CNT and Mujeres Libres posters, songs from the period) provide a variety of ways into that stuggle. Your familiarity with the historical terrain from Playa de Catalunya down the Ramblas, however, was for both of us the key ingredient. We have both travelled widely to all continents, but only once (in Ireland) have we encountered any living history introduction to a people´s struggle as engaging as yours. And best of all for a trained historian like myself, you managed to present that historical struggle by going beneath the opposing parties and into the contradictory personalities of that day. I highly recommend this – it’s not tiring and it’s utterly fascinating. We took the 7-hour tour on New Year’s Eve – my husband, our two university-aged sons and our older son’s girlfriend, a university student from Germany. I’m a Canadian journalism professor and my husband’s father fought with the Abraham Lincoln Brigade. The morning there was an over-sized crowd – about 15 or 16 from Portugal, the US, Austria, Germany and Finland and ourselves from Canada – but Nick managed the group very well. It helps to have read Orwell’s Homage to Catalonia, which I had, but the rest of my family, who hadn’t, found the tour fascinating nevertheless. Nick explains not only the blow-by-blow events of the Civil War, but also the political backdrop. He explains how anarchism took hold of working-class Spain and why. He explains the role of the various military factions. The group shrank to just our family in the afternoon, which made it easier. The walk was not at all tiring. 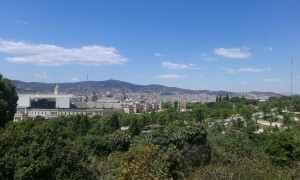 At 6 p.m., we even elected to walk down the hill from Montjuic, the site of the mass grave. Nick kindly accompanied us all the way, beyond the call of duty.Nick’s note: we had a problem of overbooking on this day! Nick’s Spanish Civil War tour was the highlight of our long weekend in Barcelona. We had already walked past a few key places on Las Ramblas without realising their significance, so the tour really helped opened our eyes to the history of Barcelona. Spain is still dealing with its past and it’s not always easy to find its stories unless you have a good guide. The use of video, photographs and music on the tour also helped us to get a feel for how things would have been during the war. We will be recommending the tour to anyone we know heading to Barcelona. Nick brings the Spanish Civil War in Barcelona to life as he takes you though the city. Reciting Orwell from memory,and with a backpack full of photos, music tracks and film, the walk ended with a question and answer session over beer and tapas in La Lliberataria, a bar with walls covered in posters from the war. His knowledge and enthusiasm is contagious. Now where’s that copy of ‘Homage to Catalonia’? Nick Lloyd’s Spanish Civil War Tour was one of the highlights of our foursome’s May, 2012 visit to Barcelona, all the more poignant because of the current struggles of the Spanish working class. We considered ourselves a relatively informed group, but we learned a great deal from Nick in our three-hour tour. He was engaging, entertaining, and informative – but with no ideological axe to grind. At Nick’s suggestion, I re-read George Orwell’s on the flight over, and the tour brought key sections of the book to life, chapters in which Orwell described both the Spanish Civil War and the lesser-known Catalonian revolution. Having first read “Homage to Catalonia” about 40 years ago, Orwell’s book and Nick’s tour reminded me why a “New Left” emerged in the 1960s. I strongly recommend: Forget the tour bus and spend a few hours with Nick learning (while seeing the venues of key events in the 1930s) some of the essential elements of Catalonian, Spanish, and World history. Great walking tour. Very informative and well presented. Intelligent use of audiovisual material (tablet), and links to a superb TV documentary series were provided to anyone interested. Has inspired me to re-read Orwell’s “Homage to Catalonia” which Nick Lloyd referred to several times. A nice touch was finishing the tour in an ‘anarchist’ bar where drinks were served and original posters were on display. I highly recommend this tour to anyone interested in learning about the Spanish Civil War. This was in fact the second tour that I’ve done with friends with Nick in Barcelona, regarding the history of the Spanish Civil War. The tour is absolutely excellent! Nick is extremely knowledgeble and has a real passion for the topic. This passion comes through in his enthusiasm on the tour and the dedicated research he has undertaken to uncover historic elements to the story and rare photos that are presented during the tour. We had originally intended to do a tour in a different part of Barcelona with Nick this year but even doing the ‘same’ tour as last year, was as fascinating and powerful as the first time. The depth of the history that is revealed as you walk down the streets puts a completely different face on the places where you are and where you are walking. For anyone interested in this fascinating (and ultimately tragic) period in recent modern history, I very highly recommend this tour. Nick is a very personable guide and certainly wants to ensure that everyone takes with them what they want from the tour. The fee is very reasonable and well worth the time and money. I am a playwright working on a play about The Spanish Civil War, it is the third play in a trilogy about the life and work of Emma Goldman, the anarchist who spent the last four years of her life dedicated to the Spanish revolution. I recently traveled to Spain to do research on the project and spent a glorious morning with Nick Lloyd taking his Spanish Civil War tour of Barcelona. It was a moving and an eye opening experience. Nick is an excellent historian and educator and his passionate yet clear portrayal of the revolution and the history surrounding Spain before, during and after the war was incomparable. Nick provided us a window into the war and into Barcelona- I could actually smell, feel see, taste the Sweet Summer of Anarchy ( when for a short burst of glorious time the anarchist revolution seemed to work) and the subsequent devastation. Through his narration and description the streets of the city filled with historical action (even though in present reality I was looking at throngs of tourists being entertained by performers, buying over priced souvenirs most without a clue of the stories that existed right around them) – George Orwell aiming a gun at The Continental Hotel, Benventura Durruti ( the infamous hero/bank robber/ leader of the anarchist left) planning his defense of the Republic in a local bar, and Emma Goldman arriving to devote her life to her Spanish comrades. It is an invaluable day that I will never forget. 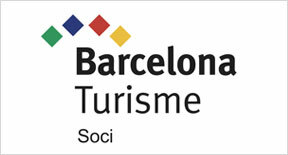 And I recommend it to anyone who is curious about anything- it really enriches the experience of visiting Barcelona. Thank you Nick! If you want to be part of a far different experience in Barcelona, then by all means take Nick Lloyds’ Spanish Civil War Tour of Barcelona. Nick’s reserved yet passionate multi-media presentations make for a marvelous afternoon and will keep you thinking the terrible things that happened in this beautiful city. His tremendous knowledge of the subject matter allowed him to field and answer a wide variety of questions from all of the people on our tour. As a retired high school History teacher, I highly recommend this tour which was also quite a bargain pricewise. I was initially interested in the Orwell/civil war tour, but after perusing all the information on Nick’s website, asked if we might be able to combine the 1930’s with the 6th Fleets’ 50’s-70’s. Nick was more than willing and flexible, and I thoroughly enjoyed a refreshing respite from canned tours in monotone. Whether you’ve read up beforehand or not, Nick’s knowledge, enthusiasm, and ability to easily digress into other topics when asked, ensure a vivid, enlightening walk through the history of a fascinating city. Nick Lloyd’s walking tour of Barcelona’s Spanish Civil War sites was definitely a highlight of our trip to Europe this spring. Even those not as interested in the war as we are can see important places from Barcelona’s history that otherwise would go unnoticed on a normal visit to the city. Nick’s understanding of the events and personalities, the passion with which he relates the stories, and his pictures and source references made for not only a super educational experience, but also a really exciting one. 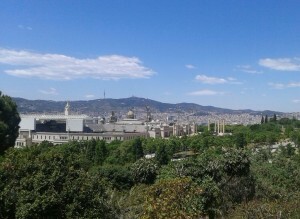 And at the same time, you get to see beautiful Barcelona. The small size of the group allowed us all to keep within close range to Nick’s narrative and pictures. And we got to know some very interesting people. My interest was in the journalism of the time, especially Orwell’s, while others focused on the historical context, the photography, the architecture and the contrasts to today’s Barcelona. Nick Lloyd proved out to be a gentle man, a gifted story-teller but above all a man with a mission. He has taken on the enormous task to keep the memory of the events in the civil war alive, where too many in Spain want it to be forgotten. He also hopes to re-live with his guests on every tour the enthousiastic bewilderment that overcame the visitor of Barcelona during her short period of revolutionary, egalitarian self-control in 1936. I was taken by George Orwells admiration of the people of Barcelona in those days reading his ‘Hommage to Catalonia” almost 30 years ago and was taken again in 2011 by Nick Lloyds enthousiasm. I recommend his tour to everybody. A wonderful complement for a trip to Barcelona is to walk the streets and lanes with Nick Lloyd. His 3 hour tour certainly puts the central old city area into a different perspective and, as a History teacher, I found his knowledge of and sheer passion for the city and for the Civil War period to be invaluable. Nick makes the tour ‘real’ with anecdotes and occassional short Orwell readings and period photographs. He is also amiable, humurous and friendly about his craft. The same day I went on this tour, I later went to the Nou Camp to watch Barcelona play, and considering that a few hours earlier Nick had shown me the plaque for the sight where the club was formed and had linked it all to the Spanish Civil War, this capped off a perfect Barcelona experience. Highly recommend this tour to you all. This tour is fantastic. It really gives more meaning to a visit to Barcelona, as the events of the civil war have had such an effect on the place and the people there today. Nick, our guide, was great (and still sends on emails with related info and articles). The tour was relaxed and went at a perfect pace, giving room for members of the group to ask questions, and as it was a small group everyone felt involved. Meeting the others in the group was also really interesting, a real friendly bunch with varied interests. I am working on a visual arts project based on a female photo journalist from the civil war, so it was great to have a more tangible feel of what her time there would have been like. One other thing I particularly enjoyed was Nick reading extracts from Owell’s ‘Homage to Catalonia’. Definitely not a dry historical tour, far from it. It was full of warmth and care for the people and the those times. This tour provides a terrific insight into the Spanish Civil War and its effect on Barcelona. Nick Lloyd knows his subject inside out and guides you superbly through this dark but fascinating period. As a foreign resident he is able to explain and interpret matters which a Spanish Guide might find difficult because this tragic time is still very fresh in many people’s minds, particularly in Catalonia. Nick Lloyd’s Spanish Civil War walking tour was undoubtedly the highilight of my visit to Barcelona. I loved his engaging, informative and friendly approach and the 3 hours just flew by. Above all, I felt Nick had a real grasp of the facts which he presented with passion, compassion and analysis, in an very non-sectarian manner. This was a great introduction to the history and events of the Spanish Civil War in Barcelona . I wholeheartedly recommend this tour to anyone visiting Barcelona – had I not gone on this tour I would have walked by many important locations totally unaware of their significance to the fight for freedom and against fascism. Nick provided a thorough and easy to understand guided tour about the spanish civil war which I enjoyed very much. Especially good was the clarification and explanation of the anarchist revolution by the CNT in Barcelona in July ’36. Also, showing key spots in the city where events in George Orwell’s “Homage to Catalonia” takes place was very interesting. Some of his experiences in the city during the war directly influenced him in the writing of his two masterpieces, “Animal Farm” and “1984”. Overall, truly recommended! This tour provided a comprehensive look at the specific role of the people of Barcelona in the Spanish Civil War. I found the tour to be extremely enjoyable, informative and worthwhile. Numerous historically significant locations are covered which, had I not been on the tour, I would simply have walked past. For example, key buildings were included such as the hotel George Orwell stayed in when he arrived in Barcelona, the sites of key battles and bombing raids and memorials to notable participants in the conflict. In addition to visiting these sites, expert analysis of the conflict is given as well as various interesting facts and anecdotes relating to the war. The tour also provides an excellent opportunity to visit historic parts of the city which tourists might otherwise overlook. 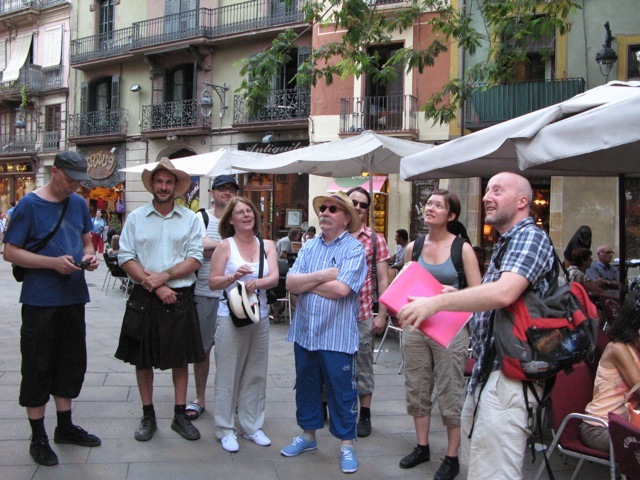 The tour takes in areas of the Jewish and Gothic Quarters, El Raval and central Barcelona. I would strongly recommend this tour to anyone visiting Barcelona and especially to anyone with a specific interest in the Spanish Civil War. Overall I would have to say it was the highlight of my trip to the city. I’m writing to highly recommend Nick Lloyd’s Spanish Civil War Tour. Several friends and I, all with differing levels of knowledge about the conflict, took the tour and were very impressed with Nick’s presentation and explanation of the war, his passion for the subject, and his impeccable research which filled many of the gaps in our understanding of this pivotal moment in history. Anyone with even the slightest interest in the history of Barcelona, Catalunya, and the amazing political history of this region will benefit greatly from spending three hours walking and talking through the beautiful streets of old city center. Nick runs a great tour which brings the extraordinary events of the Civil War in Barcelona to life. Thoroughly recommended. A great tour enjoyed by our whole group (who had a varying range of prior interest in the Spanish Civil War), Nick has pieced together a fascinating tour which without you would be really hard pushed to see traces of the war – which we discovered was all around us! It has definitely furthered my interest in the war and my fondness of Barcelona itself. After your tour we went to the MNAC to see La Maleta Mexicana. It seemed to me that the only consistent photo story was that about the Republican soldiers interned in France and having to build camps. We were therefore very pleased that we went on your tour and that you focussed on key incidents in Barcelona to explain why it was such an important place of resistance. I hope that you do write your book . Spain in 1936-1939 appears to me to be the last place where organised and recognisable military forces fought a civil war. After WW2, the nationalist forces became indistinguisable from the local people in their fight against the re imposition of colonial rule or against the transfer of power to the group loyal to the old regime. Your tour and commentary made that point for me. I can fully recommend the guided tour of the Spanish Cival War in Barcelona, by Nick Lloyd. He spoke of the events as they unravelled in the heart of the city, with amazing knowledge and compassion. Nick took us to many of the places in Bacelona, which were significant during the Cival War, showing us poignant photos taken at the time. I shall now re-read Orwell’s ‘Homage to Catalonia’ with far more understanding. Spanish Civil War Tour in Barcelona, our guide Nick Lloyd certainly knew his facts and figures. The passion he shows for the Spanish Civil war is commendable, Nick’s presentation and readings were interesting and educational. Recommended and well worth the reasonable fee. Chris Ealham Anarchism and the City: Revolution and Counter-Revolution in Barcelona, 1898-1937, Very well researched radical history of the city and anarchism . Essential reading you are interested in Barcelona. Ronald Fraser Blood Of Spain Remarkabe oral hostory of the war based on interviews with survivors made in the 1970s. Significan portions on based on Barcelona. Paul Preston The Spanish Holocaust A harrowing read, and possibly Preston’s crowning achievment, charting the barbarity on both sides but highlighting the diifernce between popular violence on the Republican side with the state santioned terror unleashed by the rebels. Paul Preston. The Spanish Civil War: Reaction, Revolution and Revenge Good introduction from perhaps the world’s leading expert on the war. The emphasis is very much from an official Popular Front perspective. Superb detail. Check out all his seminal biography of Franco. Andy Durgan The Spanish Civil War: lucid 150-page overview of the causes, course and impact of the conflict from the socialist left, but free of a doctrinaire straight-jacket. Helen Graham The Spanish Republic at War An essential reference point and the best book written from the position of the Popular Front, as opposed to from a more revolutionary stance. The more one delves into it, the more complex the story becomes. Although the Stalinist influence was pernacious to the Republic’s cause, often local factors were just as important. The central chapter on the May Days is the best I know. Highly recommended as a dip-in reference, though perhaps a little academic if you are looking for a straight-read introduction. Robert Hughes. His seminalBarcelona ends rather disappointingly without much in the way of conclusion in around 1910, but it does provide a good background to the early days of Barcelonan anarchism and its connections with modernism. Farquhar McHarg and Christie Stuart Pistoleros! and Pistoleros! 2. , The ficticious (or not) account of a Glaswegian who docks in Barcelona and is thrown straightaway in the city’s revolutionary struggles. I must say I thoroughly enjoyed it. The book has a very unusual structure, at least for me: the first half is McHarg’s own action-packed account recalled as an old man in 1976, followed by an extensive section mocked up as a historical scrapbook with numerous photos, and an excellent overview of Spain in 1918. Anyone with an interest in radical Barcelona history and anarchism is general would enjoy it. C. J. Sansom Winter in Madrid. Well crafted spy and love story set in a post-war Madrid beset by terrible poverty and relentless repression. The descriptions of a concentration camp in Cuenca are harrowing.